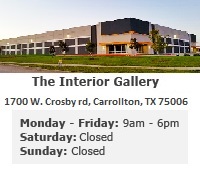 The Interior Gallery is a Design and Import Company bringing elegant, high-quality products at competitively low prices. Our selection of chaise lounges can be found with the birch wood frames or 24K gold frames. Birch wood offers a fine-grain composite that is attractive and satin-like, while the 24K gold offers luxury and high class to any home or commercial space. Extended luxury is featured through high quality velvet fabrics in solid bold hues of green, blue, and purple. The fabrics used on the 24K gold framed chaise lounges are high quality Italian fabrics with assorted ornate designs. These designs consist of floral and ribbon motifs as well as royalty crown motifs in hues of gold, green, red, and navy. Our selection of large round ottomans make a great focal piece for living rooms or commercial spaces and allows for plenty of seating. These ottomans offer a solid birch wood frame with ornate hand carved details. High back love seats are great for hotels and restaurants alike.